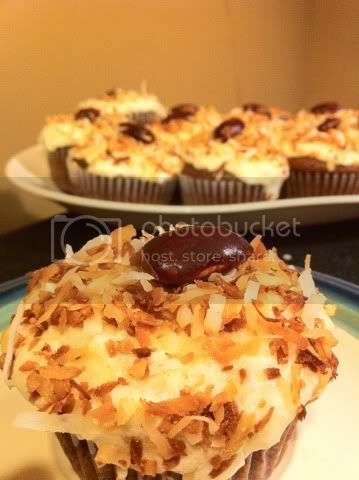 (Vegan) Chocolate cupcakes with coconut buttercream, toasted coconut, and chocolate covered almonds! I’ll call you on your sh*t, please call me on mine. Then we can grow together and make this sh*t-hole planet better, in time. Consider someone else: STOP CONSUMING ANIMALS. yummy, I'm gonna have to make these.